Columbus artist Bo Bartlett put his hands in the praying position just below his chin and looked upward. Thursday afternoon at the dedication of the new Bo Bartlett Center on the Columbus State University RiverPark campus, Bartlett was remembering those who were not with him to celebrate the moment. The moment transpired in front of a 11 foot by 17 foot Bartlett work, entitled “Civil War,” painted in 1994. After thanking his mother, wife, children, sister and brother-in-law for their support, Bartlett emotionally and reverently thanked those who have died. His father, Bill; his brother, Chuck; and one of his sons, Elliott. Those family memories live in the works that hang on the walls of the center. Bartlett pointed to a painting in which Chuck appears wearing an army jumpsuit. “My son Elliott is in many of the paintings and was a very competent artist and encouraged me all along the way and challenged me all along the way,” Bartlett said. 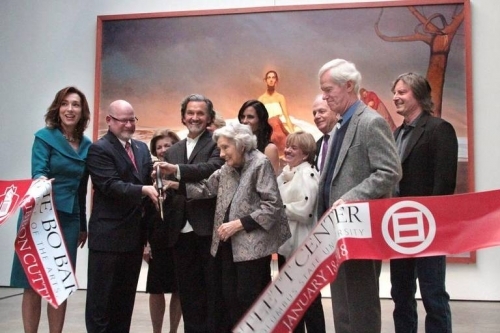 The Bo Bartlett Center has been a dream for more than 15 years, starting under CSU President emeritus Frank Brown. It was announced in 2012 by then CSU President Tim Mescon and started with a gift from Bartlett and his wife, Betsy Eby, also an artist. Bartlett’s sister, Sandy Scarborough, and her husband, Otis Scarborough, have donated parts of their extensive collection to the center. 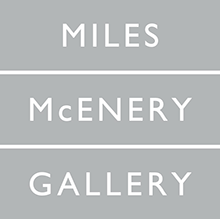 The center currently has been gifted artwork valued in excess of $4 million, and has on permanent loan artwork and other items valued at approximately $10 million, according to the university. The Bartlett Center construction is a $5 million project, all coming from private funds raised in the most recent capital campaign. Though the center bears his name, Bartlett said the center belongs to others in theory and practice. “It’s not my center, it’s your center; it’s Columbus’ center, it’s the South’s center and it’s America’s center,” Bartlett said. But the center has Bartlett’s flair as dozens of his works hang on the walls from the front to the back of the space. The center is on the top floor of the Corn Center for the Visual Arts at the base of the Dillingham Bridge. But what is going to happen in the center is what’s important to CSU Dean of the College of the Arts Richard Baxter. That allows CSU and the Bartlett Center to extend its impact throughout the community, Baxter said.